Julia Utensili S.p.A. was founded in 1978 in Tarcento (Udine) by three partners with extensive knowledge and experience of circular saws blades for metal cutting and thanks to a capillar distribution network, is present in every country of the world. 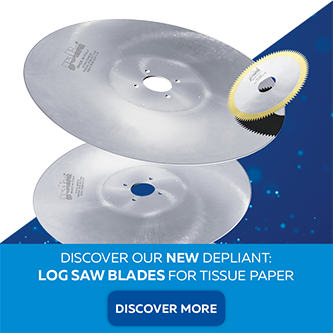 We believe it’s very important to offer a complete range of high quality product to satisfy all your circular saw blade needs. Our products are our core business and all of our resources are focused on improving quality and helping customers to solve their cutting problems. The knowledge gained and the ongoing study and analysis or our Reserch and Development Department strong partnership with academic excellence in Italy and abroad, ensures that our customer are guaranteed the best products. Our Quality System is certified in accordance with UNI EN ISO international standards, which ensures a constant qualitative monitoring of all phases of the production cycle. 2009, after years of careful study and research, Julia began the production of TCT circular saws in HM and Cermet to meet all the cutting needs of manufacturers and industrial tube transformers for all applications. In 2013, the product range expanded further with the inclusion of circular knives for cutting toilet paper rolls.